SDHB HORIZONTAL BAND SAWS and SDVB VERTICAL BAND SAWS. - Their great robustness, precision and sawing quality, low waste levels and great production. - The possibility of choosing analogue measuring equipment (optional). 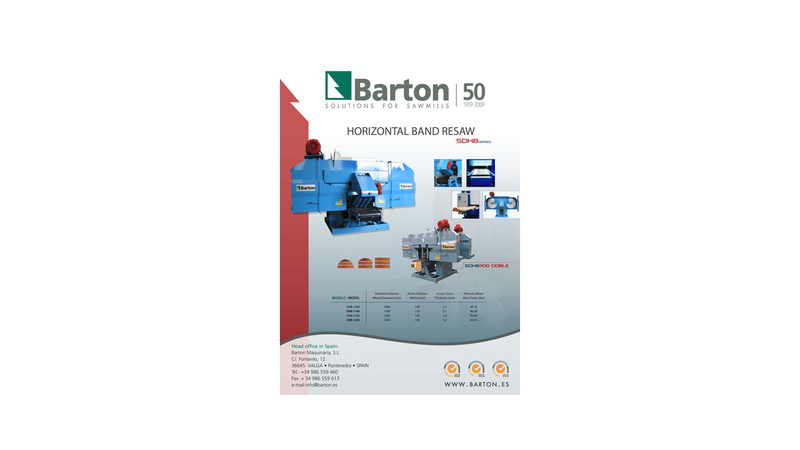 - The horizontal band saw is available with both single (1 cut) and double cutting options (2 cuts). - Offers the possibility of incorporating two or more machines on the same line with the option of automatic return. - Hydraulically or electrically (differential motor) powered.